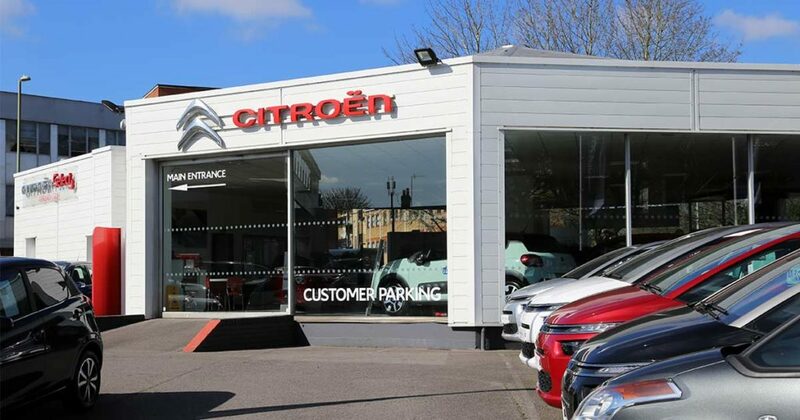 Charters is the approved Citroën dealership for both New and Selected Used Citroëns in Aldershot, Hampshire. As a family-owned business, the Charters Group is large enough to offer great prices and an expert quality service, yet small enough to treat customers with respect and the best possible care. We serve the Home Counties with excellent customer service and pride ourselves with not only face-to-face advice, servicing and sales but orders by phone for delivery anywhere in the UK. 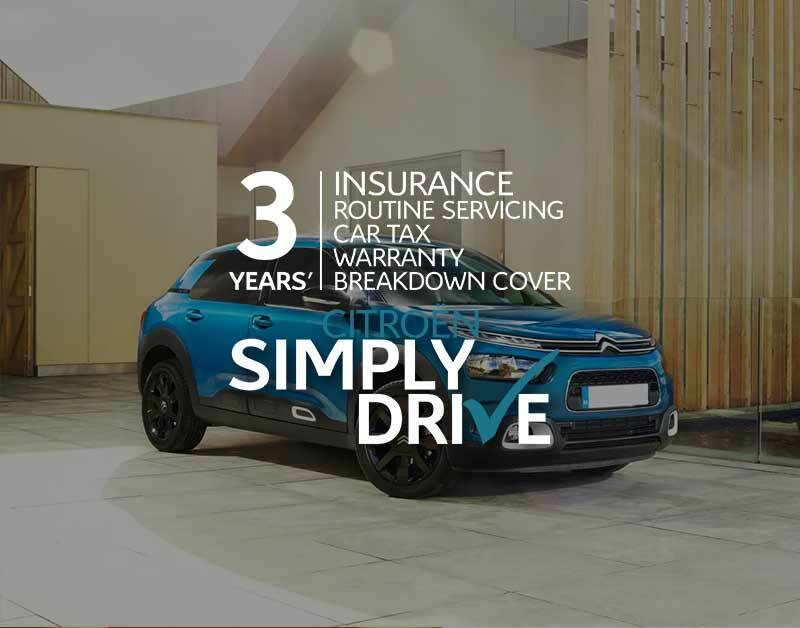 Charters Citroen is a modern car dealership for a modern age. for three years. 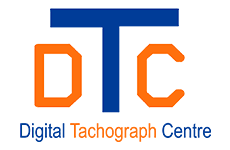 We can even offer a Simply Drive Telematics finance solution for young and new drivers. Anyone from 18 to 75 can apply. All of these fixed price repairs are priced to include parts, labour and VAT so the price you see, is the price you pay. 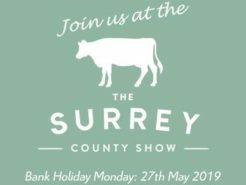 and you need to book it in quickly but don’t know whether we can fit you in? Complete our online booking system and you can request a day and time that suits you. We’ll then call you back to confirm this time or to adjust if necessary. Can’t make it to us? 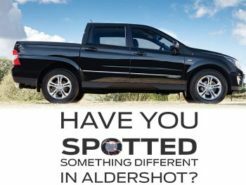 Charters offer a free collection and delivery service up to 50 miles from our Aldershot service centre, so you can maintain or repair your car with the minimal of fuss to your daily routine. Ask our service department for a free collection and delivery and (subject to space), we’ll collect your vehicle from your home or place of work. 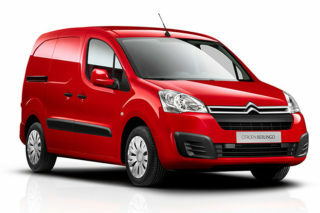 Citroen have become one of the leading vehicles on sale in the UK in the past decade. Providing award-winner after award-winner with every iteration of their iconic range. 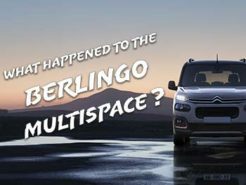 If its been a while since you’ve driven a new Citroen then prepare to have your expectations smashed as the entire range from small city cars to large commercials have received international acclaim. Below you’ll find just a small example of some of our award-winning models in stock. 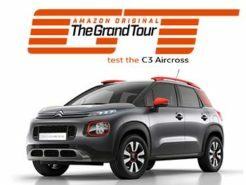 For the C5 Aircross to be included in this list of the very best cars of the year is an honour in itself. 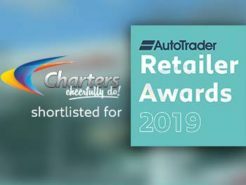 In fact the only other SUV to be included in this shortlist is the all-electric Jaguar i-Pace priced at nearly double of the RRP of the C5 Aircross. 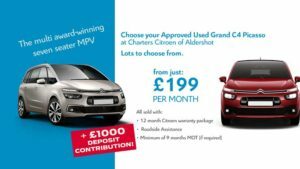 It’s a fabulous start to an exciting new model at to Charters Citroen of Aldershot. 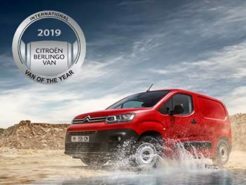 With the new Berlingo Van only just being released at the tail end of 2018, already winning International Van of the Year 2019 is a proud moment for the iconic French marque. 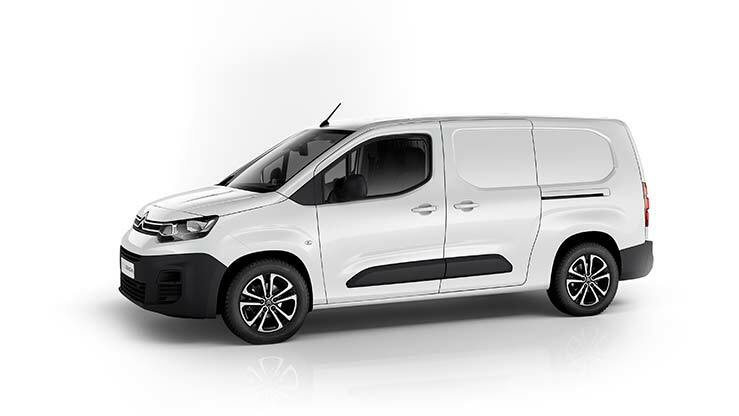 This, alongside our Medium Van of the Year (the Citroen Dispatch) makes our commercial range an appealing choice for most local businesses. Personal Contract Purchase is one of the most popular options for financing your next vehicle. You can choose a new or used vehicle to finance and can offset the future value of the vehicle to the end of the contract. 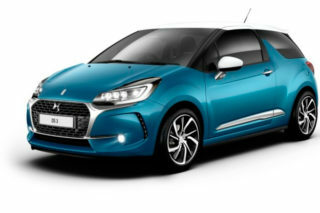 The traditional way of financing your Citroen is Hire Purchase. This scheme takes the amount of the vehicle you choose (minus your deposit) and spreads the cost evenly. There is no optional finance payment (unlike Elect 3). Simply Drive Telematics offers all of the benefits of Simply Drive but for new and young drivers. 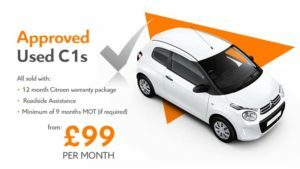 Available from drivers aged 18 years of age and for those who have just passed their test, your new car is fitted with a Telematics device and for one regular monthly payment, your insurance is included as well. 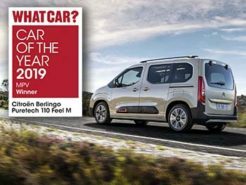 For business and personal users, the Citroen Contract Hire finance scheme is ideal for those who don’t want to own their car. You can even include a maintenance package with these schemes, making it a better way to manage your budget. 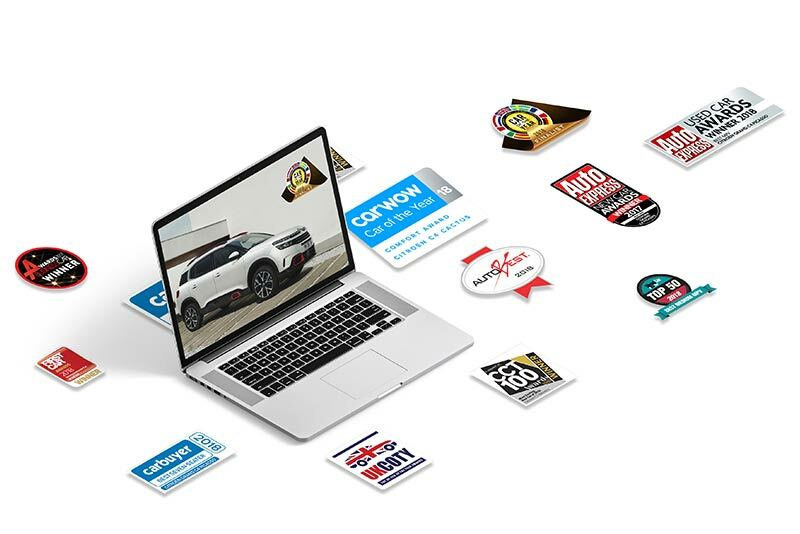 What better way to arrange finance for your new Citroen than buy applying online? Our fully end-to-end encrypted service offers the most secure and convenient way of arranging finance. 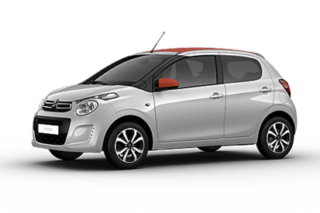 Just select the car you want, complete the form and we’ll call you to arrange delivery / collection. Thank you so much for putting up with my 1,000,000 questions, stresses and annoyingness in the process of getting my new car. I am very, very grateful. Just wanted to say many thanks - your generosity with the DS3 could not have come at a better time. This has been so helpful!. Just wanted to say... Well can't say many words that will sum up Garry's help! Outstanding!! I will be recommending Garry / Charters! 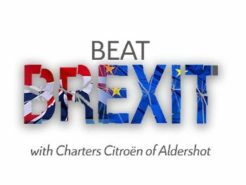 My next car purchase will be a Citroen from Charters Aldershot. Just wanted to say a quick thank you for sorting the van and delivering it when u said u would. 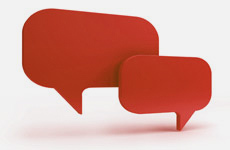 I was impressed with ur professionalism and feel very comfortable recommending u to my friends and acquaintances. 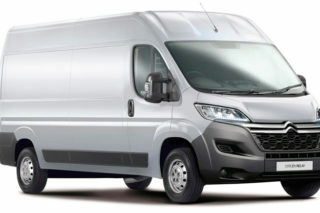 I’ll be in touch when purchasing the next car or van.